I’m the one in black! 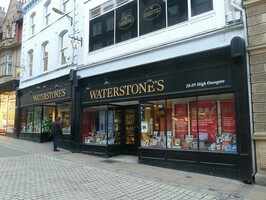 I had a great day yesterday at Waterstones York. I want to say a special ‘thank you’ to Kirstie Lount the events manager who really pulled out all the stops to make this work, but also to every one of the fantastic staff; they were all so attentive AND I noticed just how much effort they put in constantly to keep the store tip top and the customers satisfied. We almost wiped out the Diavolino stocks by 5pm and the few that were left I signed and they are now available in store to purchase – but there’s only handful so get along soon if you missed out yesterday. And they are selling for £10.99 which is cheaper than Amazon. I also want to thank horror writer Julia Kavan who travelled from Cambridgeshire to support me and keep me company. I think she was a little overawed by the York nightlife after the event – but so was I! And Catherine Cavendish, another horror writer from the Etopia Press stable, forced her husband to drive her all the way from Liverpool so that she could be with me. It was really nice for the three of us to get together as we have known each other in a virtual sense for a long time, from the days before any of us was published. Louise Cole of Firedance Books – someone else we have all known but never met – came along, too. Last but not least, Susan Roebuck was tweeting and Facebooking from…Portugal! Thanks everyone. But why am I so unphotogenic? Previous postChristopher Lee and the…Transylvania Brass? 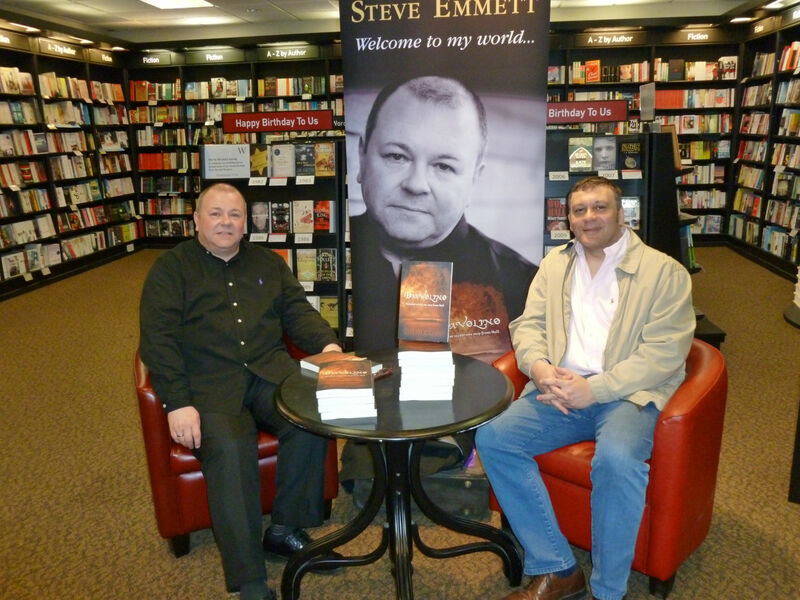 Next postNorthampton booQfest – what a venue! It was a great day, Steve. Thoroughly enjoyed it and lovely to meet you, Julia and Louise at last too. Sue was with us in spirit! I am so proud for you. It’s a great book. You, Julia and Cat look great! Methinks one third of you is too kind, Brinda. I still think that white stilettos, a fuchsia pink sash across a four-sizes-too-small electric blue dress and arms tattooed so green they look like lumps of gorgonzola would suit you.